Carborundum is a brand of Saint-Gobain Abrasives, a division of Saint-Gobain Company located in Paris, France and a leading producer of construction products (building materials, gypsum products, insulation and pipe), innovative materials (abrasives, ceramics, high-performance plastics, flat glass, and technical fabrics) and glass containers. The company is also a leading distributor of building products. One of the top 100 industrial companies in the world, Saint-Gobain’s 2008 sales approximated $64.4 billion. In the United States and Canada, Saint-Gobain employs about 22,000 people and has approximately 160 manufacturing locations. 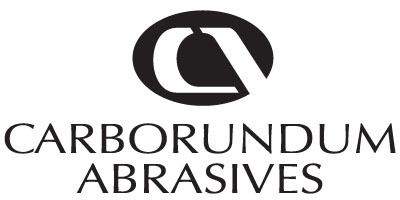 Saint-Gobain Abrasives is one of the world’s largest suppliers of abrasives worldwide providing many advantages to the Carborundum brand through expertise in abrasive technology, on-going research and development and controls in abrasive safety practices. For over 100 years Carborundum abrasives have been your best choice when you want product performance with value pricing. Carborundum is committed to innovation in abrasive technology while adding significant business value to our trusted clients. We continue to strive to deliver the finest abrasives solutions and best-in-class service at the best value. Carborundum has all of your abrasive needs covered though its one-stop solution and comprehensive stock line featuring coated, bonded and non-woven abrasives along with non-stock belt solutions available through our FastTrack service. All of our facilities actively engage in recycling and ISO programs and have won numerous awards, including the 1998 American Eagle Award from the ASMMA for the best recycling program among national manufacturers. The U.S. Environmental Protection Agency also awarded Saint-Gobain with the 2009 and 2010 Energy Star Partner of the Year Award.